Ex-DWP Investigator stalked women for up to 20 years! We often think of home CCTV as a tool for catching (and deterring) burglars in the act and maybe even those causing criminal damage but it has recently been used to catch a stalker who terrorised women in the Sheffield area for 2 decades! See the news story here. Ex-Department of Work and Pensions investigator, Desmond Ould, stalked a number of women over 20 years, using his professional skills to locate them, find their personal details, covertly watch them and take photographs. He would then send them messages, pictures and sexually explicit birthday, Valentine’s and Christmas cards. He was caught out after one of the women had CCTV installed at her home after Ould left a photo on her father’s grave on the anniversary of his death. 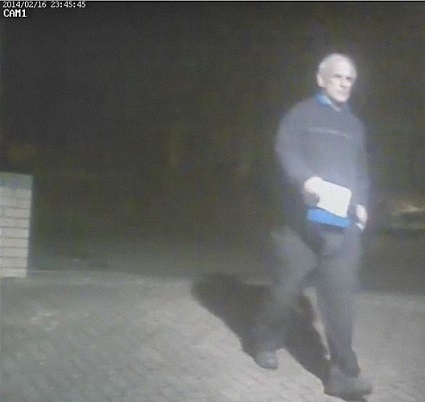 The CCTV footage showed him delivering one of his cards. This, along with his fingerprints on another card and his modified van (which allowed him to take photographs unobserved) helped to secure a conviction following his extended period of stalking and intimidation. He had made his victims’ lives a misery, causing one to suffer from panic attacks and anxiety and leaving another too frightened to go out alone. When he was finally caught he was unknown to his victims and would have probably continued to get away with it were it not for the CCTV footage. He stalked one woman for 18 years and another for 15. They would dread birthdays and Valentine’s days coming around as they anticipated another card or message. This is a good example of how home CCTV can be used in the detection of crimes other than burglary, especially for behaviour that wouldn’t necessarily raise suspicion from passers-by (simply posting a card through a door). If you’re considering including CCTV in your home security solution, give us a call on 0345 833 5543 or use our contact form.